RetroBB is my first theme. 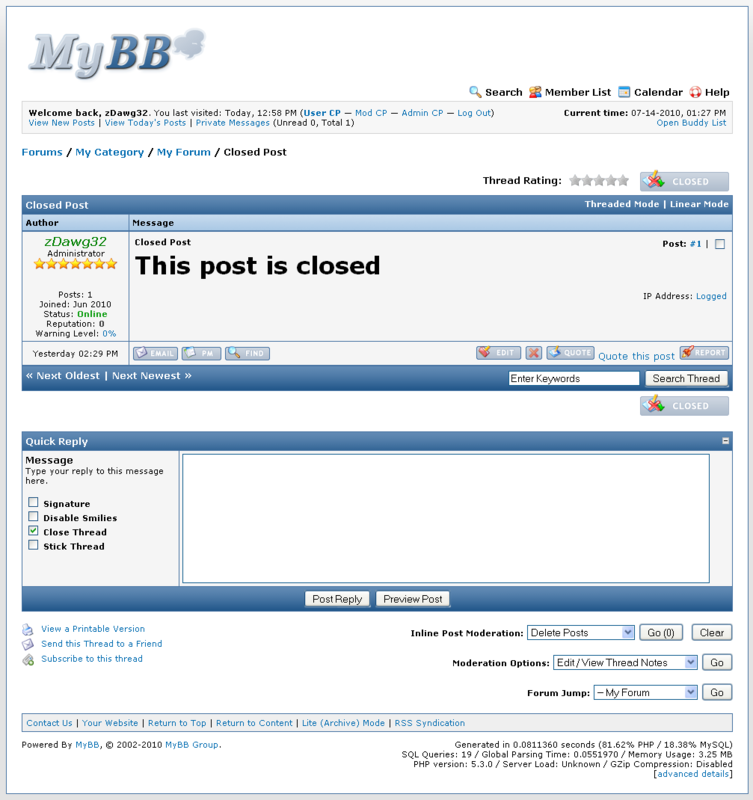 It is designed to look exactly like MyBB PR2. It makes use of the same /images/Light/ directory, and alot of stylesheets. 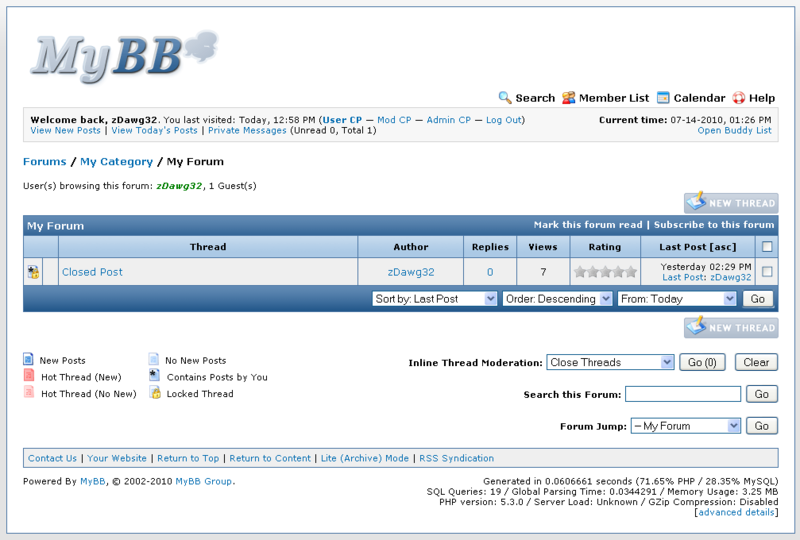 THIS IS A cPANEL FRIENDLY PACKAGE. You can upload this to the root of your board and extract it. 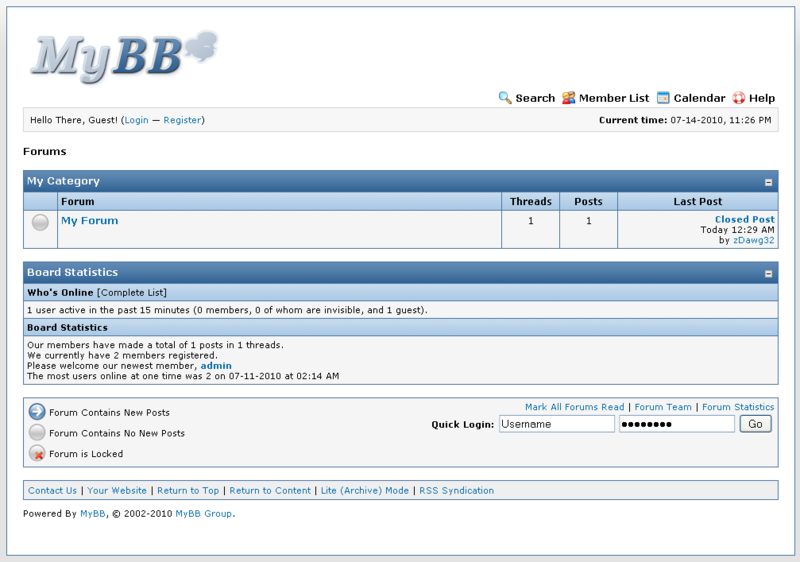 Please Note: This theme get's distorted on normal postbit. Use classic postbit.